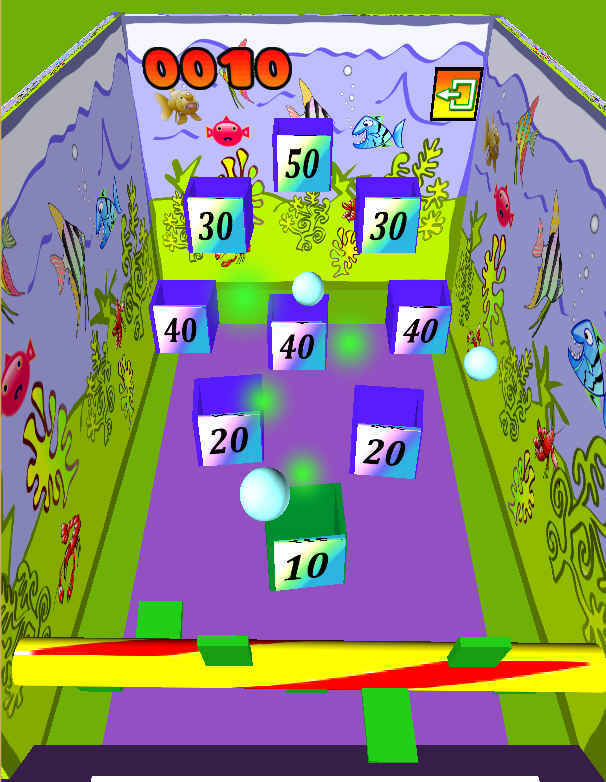 You start with 50 ping pong balls, use your skill (and luck) to drop them onto the flapper and try to land in the boxes to score big points and unlock different levels. There are 5 exciting lands, however you'll need to score in 6 different boxes to unlock the next land. Don't worry its easy enough, but if you really struggle then check out the Pro version which has all levels unlocked. As we said you start with 50 ping pong balls but you can only have 5 balls in play at the same time. 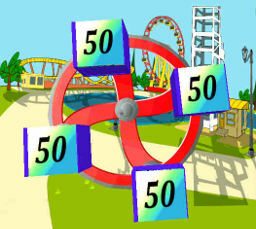 The number of balls left is show on the gauge at the bottom of the screen and remember to unlock the next level you'll need to score in 6 different boxes. You start with Fishy Land, then into Dino Land - as its name suggests its the Land of the Dinosaurs. 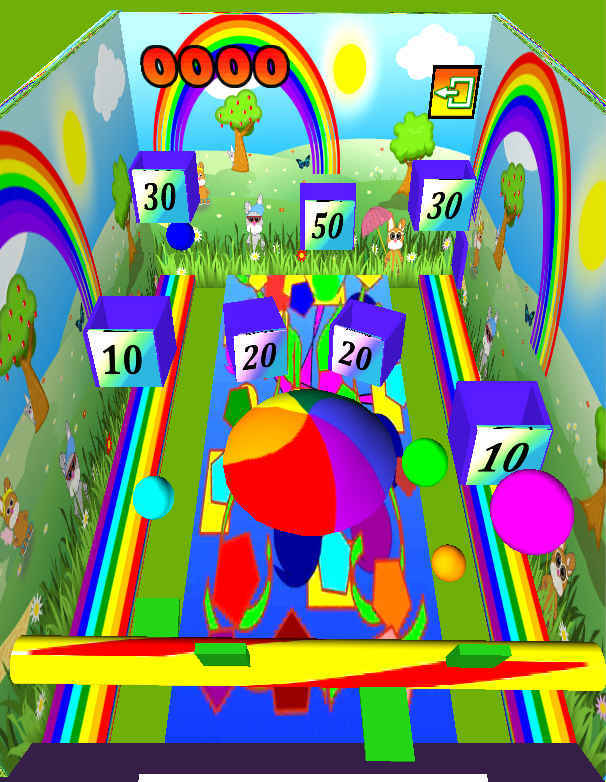 The third land is the very colourful Rainbow Land. Next is Space land because here at GalaticDroids we just love our Space games. The final land is Ping Pong Carny Land, that's right we've saved the best till last and its the land that the whole game gets its name from. 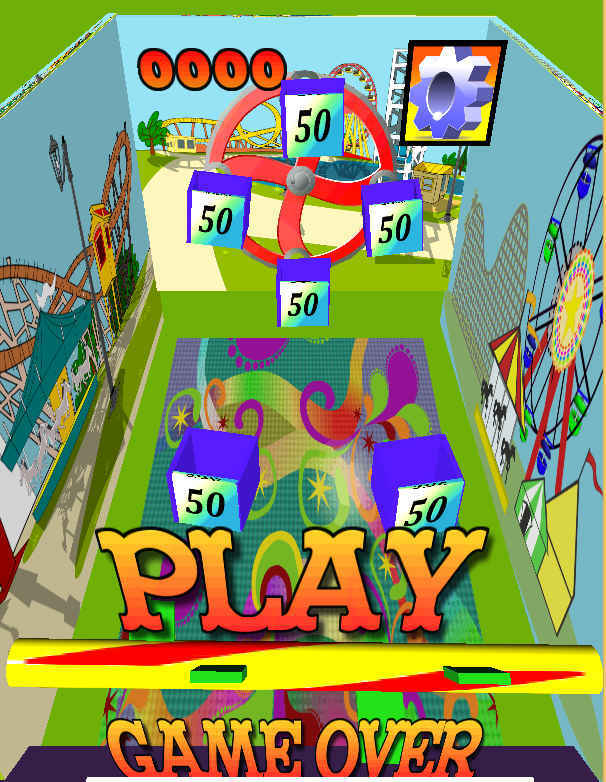 Download Ping Pong Carny Land now, it has all the fun of the fair!